Where do I use my TOWER London voucher code? You can discover a huge range of footwear at Tower London including ankle boots, casual shoes, espadrilles, flats, flip-flops, heels, high boots, pool slides, boat shoes, brogues, sandals, smart shoes, slippers, trainers, wedges and wellies for both men and women. All these shoes come from huge brands like Asics, Calvin Klein Jeans, Cara, Clarks Originals, Converse, Dr. Martens, Fred Perry, Fila, Hunter, Joules, Lacoste, New Balance, PUMA, Ted Baker, Timberland, Tommy Hilfiger and Vans, so you can be sure on their authenticity, quality, durability, and, of course, style. You can shop for your shoes by the men’s and women’s categories or you can check out ‘new in’ products and bestsellers. As well as a huge array of footwear for men and women, Tower London also stock a supply of kids shoes. Shop for junior kids and toddlers and infants and discover boots, sandals, school shoes, casual shoes, slippers, trainers and wellies, or shop for babies and find an array of boots, sandals, casual shoes, trainers and crib shoes, all of which are super cute and affordable. At Tower London, you can also discover an accessories section where there’s bags, hats, insoles, laces, scarves, shoe care, socks, wallets and welly socks, as well as a great sale section where you can save up to 50%. In the Tower London blog, you can discover much more about Tower London company and brand. Learn about the company’s backstory, collabs, upcoming drops and much more and search through hundreds of archives bursting with posts all about footwear and style. Read about Converse, Vans, Skechers, Adidas and many other footwear favourites, and take a look at the most popular posts available, as well as new posts that have all the info you need on this season’s trends. Update your term-time footwear selection from a curated edit of Tower London’s best. They bring you smart and casual shoes, boots and plimsolls from brands such as Dr. Martens, Kickers, Vans, Lacoste and Clark's, so your little one can go back to school with a stylish pair of long lasting shoes. Kit your little one out with everyday school shoes that are affordable and made to last and add a pair of comfortable trainers or pumps to your basket while you’re at it; perfect for P.E and when your little ones out playing in the yard. As well as footwear you can also discover an array of back to school accessories in the school section. Shop for school bags, shoe care, hats, scarves, socks and laces for children of all ages, and ensure your child’s kitted out in only the best, for less. In the sale section, you can find an array of discounted shoes for men and women from huge brands in the footwear industry. Shop for shoes in women’s sizes 3-9 and men’s sizes 6-12 and discover smart shoes, casual shoes, trainers, plimsolls, espadrilles, brogues and much more. Shop by brand to discover sale shoes from well-known names that you love, or check out discounts via shoe colour or price. Remember, all the footwear in the sale sells out fast, and with up to 50% off these big branded products, you don’t want to miss out- so ensure you check back regularly for new in sale items, or sign up to the newsletter so you never miss out on a sale again. If a return is necessary Tower London can accept returns within 14 days from the date of purchase. You’ll find the opening times for all of Tower London’s stores here. Founded in 1980 in North London, Tower London has grown from a small family run business to a multi-award winning independent footwear retailer. Tower London champions youth and celebrates nostalgia with their range of stylish footwear for men and women from huge brands like Converse, Dr. Martens, Puma, Ted Baker, Vans, Timberland, New Balance, TOMS, UGG, plus many more. 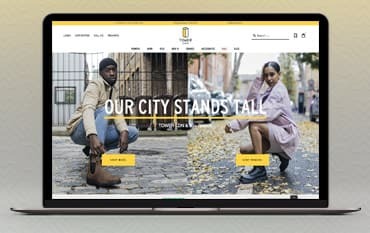 Shop online at Tower London for all kinds of footwear including trainers, boots, espadrilles, brogues and sliders and discover footwear for every season and occasion. And, if you pair your already affordable pair of shoes from Tower London with a discount code from us, you can enjoy incredible savings in the checkout.